This is just a small update to celebrate the fourteenth anniversary of our arrival in Costa Rica, on September 17th. It seems this date comes more quickly each time, and we can never find sufficient words to celebrate all that the Lord has given us in this amazing country. We are grateful we didn't know at the time all God had in store; that way He could surprise us, and our faith could be stretched and pulled. We're glad too that even now we have to live by holding His hand and taking one step at a time. Our family, our work here, our future - all is in His hands, and we rest in that truth. ​ We send our deepest thanks to all of you who have given, talked, listened, visited, and especially prayed for us during these years. You are truly partners in this ministry, and we hope you know how much we appreciate you. Here's to another year of work, of life, and of trust in the Lord. For the past several years, the Children's Home has been blessed to work with the Hands of God Foundation to receive and channel all donations on behalf of the Home. We are grateful for the invaluable help and service that the Foundation has provided, but the Home has now decided to partner with another organization for this purpose. ​ We deeply appreciate all the support and donations that many people and churches have given over the years. If you already support the Home financially, please update your giving information to direct your gift to the Communities Foundation. If you haven't yet become a financial partner of the Home, we invite you to prayerfully consider supporting this great work. In either case, thank you! Hello from Costa Rica! We hope this note finds you doing well and enjoying the Lord’s many blessings. We’re in the heart of Costa Rica’s rainy season with heavy storms most every day, but that doesn’t dampen our celebratory mood, since this past week marks the thirteenth anniversary of our arrival in this beautiful country! It’s amazing to think back to when we first arrived for what we expected to be a two-year stay, and now to see how God has turned this country into our family’s home. Truly His plans are beyond our understanding, and we are humbled that He continues to put us to service in this place. Words aren’t enough to thank every person who has walked alongside us over all these years, with friendship, counsel, generous giving, and especially with prayer. You should know that we consider you a vital part of this ministry, and we celebrate you too on this anniversary. We also want to update you on a few key areas of our work, as well as share some new projects that we’re excited about. The Methodist Seminary - The Seminary continues to be a main focus of our work here and a blessing to the church and to us personally. The Methodist Church is growing steadily, and prepared leadership is key to that growth. We have maintained an average of 30-35 students each year for the past few years, and we look forward to another graduating class this December. It’s an honor each month to work with these men and women who want to serve the Kingdom to the best of their abilities. The Children’s Home - The Children’s Home has had two houses open since 2014, with an average of 10-12 children per house. While some children have left through adoption or family reunification, we also continue our focus on providing long-term care for the children who remain with us. We’ve seen intellectual and spiritual growth among all the children as they find comfort and security at the Home, allowing them to open up and develop their true selves. On the construction side, we are close to finishing the large multi-purpose building, with plans to begin roofing at the start of 2018. We are excited to get the building finished and begin providing new services and ministries there. All the US work teams that have come down through us and our partners have made this progress possible, and we are so thankful for them. A new facet of our work with the Home will be training that we intend to begin with the staff and house mothers starting next year. In 2016 we were blessed to become certified practitioners in a model of therapy and care for children with backgrounds of trauma. This program (called TBRI) is run by Texas Christian University, and it has been a tremendous blessing in our family’s own life. Yet from the beginning we also saw its potential for deepening the healing that the Children’s Home seeks to provide. So please pray for all of us in the coming months as we begin to plan for this training process. Another new area of ministry that we are excited to share is Will’s recent acceptance of the position of Executive Director of the Instituto de Estudios Wesleyanos (iew-la.org). This is a ministry based in Latin America and focused on developing academic and practical resources in the Wesleyan/Methodist tradition for Spanish-speaking churches. Over the past few years, Will has been giving online courses and translating writings of John Wesley and other authors and he looks forward to volunteering more of his time to help the Institute grow in new directions. This is a great honor, and we appreciate your prayers as he incorporates this new project into our regular work. As you see, the Lord is keeping us busy! We are grateful, though, for projects that demand our effort and skills and for the satisfaction that comes from the Lord. Thank you for praying for renewed energy, vision, and trust in our different areas of work. We are filled with gratitude for everyone whom God uses to make our life here possible. We pray for you all as well and would love to hear about how God is working in your life. Some people say thirteen is an unlucky number, but our thirteenth anniversary in Costa Rica is just one more sign of the Lord’s faithfulness, and we look forward to the future He has in store for us. Well, the lack of regular updates must be a sign of how busy we've been! We'll post a more comprehensive update soon, but today we want to celebrate a special anniversary in our family's life. It was thirteen years ago today that we moved to Costa Rica, and the Lord hasn't stopped blessing us in this beautiful country. It continues to be a great honor to serve with the Methodist Church of Costa Rica, and we are so grateful for the church's continued hospitality and for letting us be a part of their vision for the Kingdom here. We are also grateful beyond words to the countless people in the US who have made our life and work here possible, through your prayers, your friendship, and your generous giving. The Lord truly uses His body the church to accomplish His purposes! We are reminded of what has been our key verse since the beginning, and one that we claim today for whatever God has in store for us in the months and years to come: "Now to Him who is able to do immeasurably more than all we ask or imagine, according to His power that is at work within us, to Him be glory in the church and in Christ Jesus throughout all generations, for ever and ever! Amen!" (Ephesians 3:20-21). ​ We're a bit shocked to realize it's March, since that means so much of the year has already passed, but that's a testament to how quickly the year began for us. Just two weeks after returning from our first-ever trip to the States as a family (glory to God!) we hosted three straight weeks of teams. These were great groups from the Michigan Conference, and you can see all they accomplished on the "Team Pictures - 2016 Teams" page. It was a busy but blessed way to begin another year of ministry here. The Seminary also began its 2016 academic year just a few weeks ago, with twelve new students arriving, giving us a current student body of twenty-five. After December's big graduation, we're thankful the Lord keeps leading people to the Seminary to prepare themselves for service. Our family got back into our usual routines as well, with school, activities, and local church life filling our days. We're thankful to begin another year together, and we pray the Lord will strengthen us even more in the life He has called us to live as a family. One particular reason to rejoice, although it may not sound like much to some, is that we were finally able to buy a new washer and dryer! Our old ones had lasted over eleven years, and they were definitely showing their age. Because of some generous gifts we received in December, we had set aside funds for a new set. And just three days later, when the washer died (full of sheets and towels! ), we were thankful to have new ones on the way. This is just to say that while some parts of our life here are quite different, with unique blessings and challenges, other parts are quite plain, like needing to buy new appliances. And when churches and individuals choose to support our work here, they are allowing us to bless Costa Ricans in a direct and meaningful way, but they're also making our family's life possible, too, right down to the clothes we wear. So we are thankful for those of you who continue to see something worth investing in here, and we pray our Father will bless you richly, too. As Lent draws to a close and Holy Week approaches, we pray you'll be blessed with a close sense of the risen Lord's victory. Happy Easter! Back in March Will had the opportunity to visit the Texas Annual Conference of the United Methodist Church and speak at a gathering on Latino/Hispanic ministry. It was a great experience, and he met many wonderful people serving in this vital area of ministry. 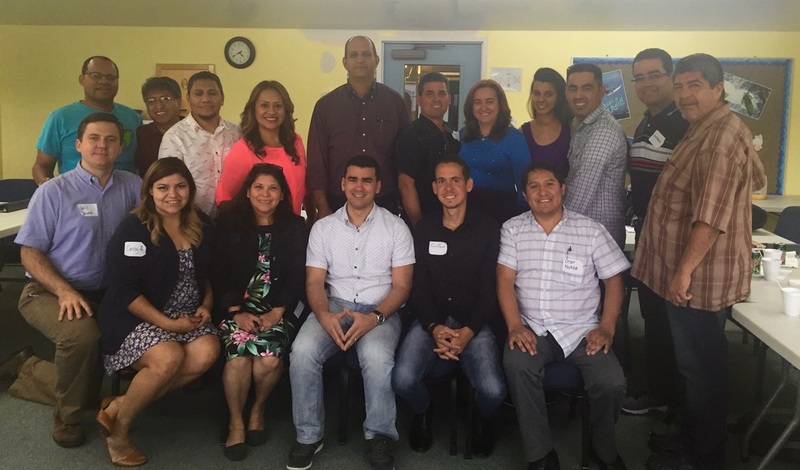 As a result of that gathering, the Texas Conference has begun an apprenticeship program for Latino leadership candidates in local churches. Part of their training is to attend regular workshops on Methodist doctrine and practice. Earlier this month, Will was honored to participate in their first workshop, giving a talk and leading discussion on the topic of "Grace and the Sacraments in the Methodist Tradition." It was a lively and engaged group, and it was a blessing to see the testimony of their dedication and thirst for knowledge. We are thankful to be able to give and receive such blessings through work the Lord gives us outside of Costa Rica. Below is a picture of the workshop participants, and we invite you to keep them and the entire Conference initiative in your prayers. Today is the 11th anniversary of our arrival in Costa Rica! It seems like such a short time ago that we were celebrating our 10th anniversary, but that's probably a testament to how busy this past year has been. While it's always fun to celebrate big milestones like five, ten, or twenty years, sometimes it's more satisfying to think about what the Lord does in the "off" years, the years when things are simply moving forward by His grace, even if they seem to move too fast. This past year has been filled with many regular activities such as teaching, hosting teams, local church activity, and the daily work of being a family. But while we may not point to any big events, we can point to the Lord's faithfulness, His daily care of us, and His regular reminders that He is the one supporting this ministry, for His people and His glory. So today we send a special thanks to everyone who is a part of how God takes care of us as we serve in this beautiful country. Your prayers, your calls and cards, your financial support– in short, your love for us– are an amazing gift. They are part of the grace that allows us to keep moving forward on this path. Here's to another year! One lesson we have learned over the years is that God is the Lord of the work, and He knows the best tasks for different times. Sometimes this means letting certain ministries go, while other times we can embrace new work He offers to us. In Will's case, the past year has seen him involved in teaching classes for an online Wesleyan seminary based in Peru, the "e-Comunidad Wesleyana para las Américas." Part of the team behind this project are Mark and Beth Wethington, through the Wesley Heritage Foundation. Mark has been a friend of ours for years and played a big role in helping us hear a call to missions. This month, Will had the joy of returning to Peru after many years away to meet the eCWA team in person and discuss its projects. He was also privileged to give a public workshop on the topic "Worship as a Space for Creating Peace." The group was quite engaged and participated in very creative ways. Will was also blessed to preach at the San Juanito de Miraflores church the following morning, a small church with a tangible spirit of family and love. We are so thankful for opportunities like these that tie our work in Costa Rica to God's Kingdom work in other countries. Happy new year and Christ's blessings to you! We enjoyed a good holiday season here in Costa Rica (complete with constant fireworks each night!) and we pray you did as well. A new year of ministry began as soon as the holidays ended, as we hosted a terrific work team from Georgia during the second week of January. You can see photos of their trip on our new "Team Pictures" page. We'll also be hosting a two-week team in mid-February, and we look forward to the entire year of such wonderful folks who come to serve. Our girls are also back to school, with Marilyn in first grade and Nicole in sixth. Ella has also returned as the art teacher, giving classes from pre-K to sixth grade each Tuesday (a bit of a marathon!). Will is getting ready for a quick trip to the States in late February to attend a Hispanic ministry conference, before returning in early March to immediately begin a new year at Seminary. Over forty students should be enrolled this year, and we thank God for the Seminary's growth. One of the great "perks" of our work is the chance to be involved in unexpected ways in other people's ministries. Our friends Krista and Joel McCutcheon are the counselors and spiritual formation directors at the Spanish Language Institute, a language school for future missionaries throughout Latin America. Last week was "spiritual emphasis week" at the Institute, and the guest speaker all week was Jerry Bridges, the author of "The Pursuit of Holiness" and many other great books. Will was asked to translate the morning sessions for the Costa Ricans in the crowd, and it was an honor to do so. We both enjoyed so much the deep wisdom, Biblical teaching, and personal testimonies that Jerry shared. We thank God for surprises like this one that He puts in the midst of our day-to-day work. We’re excited to post this message celebrating the tenth anniversary of our arrival in Costa Rica! Ten years ago this week we boarded a plane for a new adventure, one that we thought might just be for a couple of years. But as usually happens with the Lord, He had far more in store for us than we could imagine. From our first years in the southern part of the country, to our move to San Jose and the new ministries that opened up, to the adoption of our lovely girls, we have felt God leading us by the hand and heart. In all things we are reminded that it’s His work done in His time that brings Him glory and blesses His church. We are so thankful for the wonderful people of this country and especially for the Methodist Church for making us feel at home from the very beginning. This beautiful place is where God has chosen to give us a life and a ministry, as well as a family that only He could create, and we simply marvel at His plans. We hope you know that you are a part of this celebration, too, as we thank God for your faithful partnership with us over the years. We can’t express enough our gratitude for the many ways you’ve stood by us with your faithful prayers, encouragement, and financial support. We are humbled by the great “cloud of witnesses” that God has developed around us over the years. We look forward to seeing what the next ten years (or thirty!) hold for us and our family. Our greatest desire is to keep being used for the Kingdom, and we give thanks for having you as a vital part of this work as well. We've just made a big update to the site that we hope you'll enjoy, adding photos from activities so far this year, as well as new information about the second house at the Children's Home. We'll soon be getting started with our summer team season, hosting four teams between now and August. Later this week we are also celebrating the one-year anniversary of our family. We thank the Lord for his goodness in binding the four of us together, and we look forward to what the coming year has in store for us. We thank you all for your support and prayers for our family, the ministry we've been called to, and the work of the Methodist Church in this beautiful country! One of the fun parts of our ministry are the surprising connections and opportunities that come up from time to time. In this case, the leader of a Girl Scout troop in Auburn, Alabama heard of us and the Children's Home through the folks at Auburn UMC, and she wrote us about a service opportunity for some of her senior scouts. She and three girls came to Costa Rica for a week and worked with Outward Bound doing rural service projects in several parts of the country. They also wanted to come spend a day with the kids at the Home, playing around, practicing English, and giving the house mothers a little rest. We were glad to host them for a day, and they're really a great group of girls. It's this kind of opportunity the Lord sometimes surprises us with, and we're always grateful for it. Here is a picture of troop leader Melany, along with MaryBeth, Anna, and Remy. This year got off to a bang, so we've just had a chance to update the site with some photos from last year's final work teams, as well as the Seminary graduation and the Los Guido Christmas party. We've already had the privilege of hosting this year's first team (check out the pictures), helping a group from Michigan work at a local church they themselves built ten years ago. The new academic year has also begun for the Seminary with the arrival of ten new students, meaning Will had thirty-five students for his New Testament class! In April we'll be hosting two more teams at the Children's Home, where big things are happening. The second house is close to completion, and we invite you to join us in celebrating on April 10th as we cut the ribbon on "Casa Fe" ("Faith House"). We hope to have the final permits in place by early summer and begin receiving children in this new house. Thanks be to God for His faithfulness to this great work. Even though we're already a couple of months into the new year, we pray that you will feel the Spirit of new life that God always offers us, especially in this season of Lent as we reflect on God's power to make us whole for His service. We thank the Lord for your love and support of our work among the people of Costa Rica, and we pray your life will be blessed in unexpected ways as we move towards Holy Week and Easter. Peace in Christ! Today marks the ninth anniversary of our arrival in Costa Rica! We can still remember arriving in San Jose and waiting a few days before driving to our first home in the Southern Zone. We learned our first lesson in flexibility when we were greeted with a message that our car, which we expected to have already shipped out from Florida, had in fact been wrecked at the dock and was still in the US! Nine years later, we've had many adventures and learned many lessons, but the greatest lesson of all is that the Lord is faithful to continue the good work He has called us to. And the second great lesson is that He uses the Church to bless those whom He calls to service. Over the years we have been nothing but awed by the support we have received: financial gifts, faithful prayers, and constant love. And now with our new house and our new daughters, we continue to trust that the Lord will bless our lives in this country where He has so wonderfully made a life for us. To all of you who have partnered with us in countless ways over the years, we give you our deepest thanks, and we are grateful for your support in the years to come. It’s been a while since we’ve been able to update you on our work here, but that’s because we’ve been busy with the two biggest changes in our nearly nine years of ministry here. The first big news is that we’ve purchased a house! After ten years of marriage, we finally own our own home, which is something we’ve been hoping for and praying about for a long time. Over the years we’ve grown to feel that Costa Rica is our home and we’ve wanted to put down deeper roots as a sign of our commitment to service and ministry here. We’re so thankful to the Lord for turning this dream into reality in His perfect time. 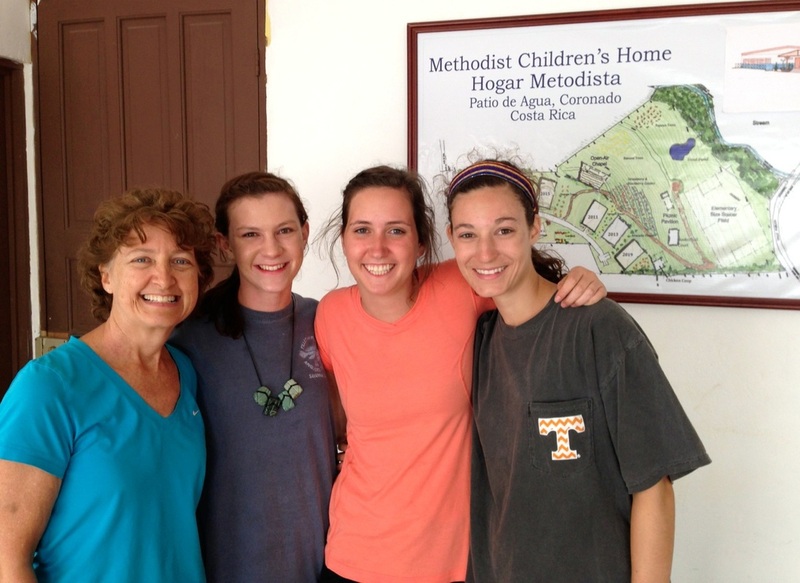 The bigger piece of news, however, and what really adds extra significance to buying a house, is that we have recently adopted two Costa Rican girls! Their names are Nicole (11) and Marilyn (4), and they are sisters who have had our hearts since arriving at the Children’s Home in the fall of 2011. We never intended to mix our desire to adopt with our involvement at the Children’s Home, but it became clear over time that God had other plans. After several months of prayer and discernment, we were convinced that this was His will for our family. Several officials within the child welfare agency had told us to not even try to adopt the girls for different reasons, primarily because already knowing them would lead the agency to deny our request. But we proceeded in faith, knowing if our desire was according to our Father's will for His children then He would make a way. We’ve learned firsthand that our God is greater than any bureaucracy, and we’ve watched in amazement over these past months as He has opened doors and changed hearts, removing obstacles in order to lead us forward on this path. By late spring of this year, the child welfare agency had approved our request, and with the Lord’s terrific sense of timing we received the girls less than two weeks after moving in to our house. We feel blessed to have known them for so long prior to this, as it makes the transition to life together much easier. Now, after having to keep this news confidential for so long, we’re thankful to be able share with you the truly miraculous way the Lord has chosen to give us a family. We’ve written this update partly to share these major events with you and to give testimony to how wonderfully the Lord works, but we’ve also written to humbly and prayerfully ask for your help. We purchased and remodeled our home under a plan that allows us to make as large a down payment as possible before signing the final loan papers, so we would ask you to consider helping us make this down payment in the coming weeks. During our years of service here, we’ve learned that it is the Lord alone who inspires people to give, and since He so clearly worked to give us a house and a family, we trust that He will provide at this momentous time as well. If you feel led to give, please visit the "Support" page of this site for instructions. Thank you in advance for considering this very special need. Again, it is with great joy and hope that we share this news and ask you to accompany us in this new stage of our life. We greatly desire your prayers for us, for our new daughters, and for the church’s work here. Know that we pray for you as well, and we are deeply grateful for your love and support. Hello to everyone in this Holy Week! This year got off to a fast start, so we're just now updating the website with some recent pictures and information, including our recent Seminary graduation, Christmas in Los Guido, and the three work teams we hosted in February. But what better time to update the site than Maundy Thursday, when Jesus spent his last hours on Earth in fellowship with his closest friends, culminating in the wonderful example of sharing food and washing their feet. In this tender, powerful moment, Christ emphasized even more His role as "one who serves," on the eve of the day in which He would "give his life for the ransom of many." We are thankful for all of you who are our own dear partners and friends, those who walk alongside us in our work here in Costa Rica. You serve us through your prayers and support, and thereby allow us to serve the wonderful people of this country, "washing their feet" through the different ministries the Lord has called us to. Please know how grateful we are for this gift, and know that we pray for you as well in your own lives and work. Yet above all we pray in these most holy days, as well as in the weeks to come, that you would know the power of Christ's death and resurrection and that you would continue to live in the power of the Holy Spirit, who raised Him from the grave. We look forward to updating the site again once our summer season has begun. Until then, may Christ's peace be yours. Happy Thanksgiving from Costa Rica! We hope this message finds you and your family doing well at the start of this holiday season. We’re approaching the end of a very demanding year, but also one where we have relied more than ever on all of those who support us. Words can’t describe what a gift it is to continue to be able to rely on faithful financial and prayer support after eight years of service here. Please know how thankful we are for all those who have felt a call to partner with us and be part of the Lord’s provision for this ministry. All we can do is give thanks and pray He will bless you even more than you have blessed us. This is just a quick post to celebrate the eighth anniversary of our arrival in Costa Rica! In the past eight years we have been unimaginably blessed to work alongside the church here, to be involved in new ministries we never could have foreseen, to meet wonderful people from Costa Rica and the US, and to be constantly amazed by the generosity and love of so many folks who answer God's call to support our work. To all of you we say "muchas gracias!," and we give thanks and praise to our wonderful Lord. Now, let's see what the future holds! Welcome to our new website! We've recently redesigned our site from the format we had for the past few years, and we hope you'll find the new layout more informative and easier to use. Send us a message on the "Contact" page to let us know what you think! Merry Christmas and Happy New Year to everyone! We are glad to be in the States for a couple of weeks celebrating the holidays with our families, and we thank God as well for all those who support us in so many ways. We pray the Lord would bless you unexpectedly during the coming year. Here's a link to our end-of-summer newsletter, which we hope you'll take time to read and enjoy. It provides more details about the different areas of our work that you can see here on the site. Make sure to take a look at the "Team Pictures" and "Children's Home" pages for lots of new photos from the past few months. The Children's Home is now on Facebook! Just search for "Methodist Children's Home of Costa Rica" and "like" us in order to keep updated with news and pictures of the Home. Happy Easter! We pray that everyone may know the joy and power of Christ's resurrection, both today and always. Our most recent news has to do with the Children's Home, and we invite you to visit its page on our site to read and see more about all that's been going on. We're gearing up for a summer's worth of work teams, starting at the end of May. We thank God that so many people continue to support the Home with their prayers, gifts, and service, and we look forward to all that will be accomplished as we start on House #2. Below you'll find this year's Christmas letter. We hope you enjoy reading more about all God has been doing this year, and remember to take a look at the updated information and pictures on the site. Our prayer is that you and your loved ones have a blessed Christmas and a happy New Year. We've just updated our "2010 Teams" page with photos from each of the teams this summer. We hope you enjoy seeing all the progress that's been made on the first house at the Children's Home. Also, today marks our sixth anniversary of arriving in Costa Rica! When we think back on those first days in the country, it is amazing to see how the Lord was guiding our every step, through situations both expected and unexpected. The past six years have been filled with so many blessings: learning a new culture, making dear friends from both here and the US, feeling God's protection over our lives, and most especially seeing the love He has for all His children and the ways He uses His church to bless and serve. Our deepest thanks to all of you have have been and continue to be involved in this ministry. You are truly our partners at every step, and we pray God's peace upon you. Use the following link to download our most recent newsletter, which will tell you about all we've been up to this spring.